ARE WE GETTING NEMESIS PRIME.... FOR REAL?! Here's a larger image of the cab robot, but its original source isn't given (I've uploaded it to Postimage). 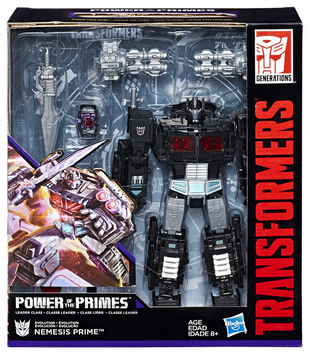 This is gonna be the big news of the week, something many waited for: official product shots of the new Power of the Primes Nemesis Prime! We get a look at all his modes and accessories and we are revealed something pretty awesome: the smaller Orion Pax mold sports a new head. We also see the Giza bird/sword partner in all its modes. 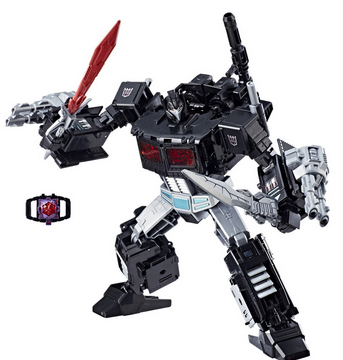 We also see a black and purple matrix and an image of Nemesis Prime in his box. 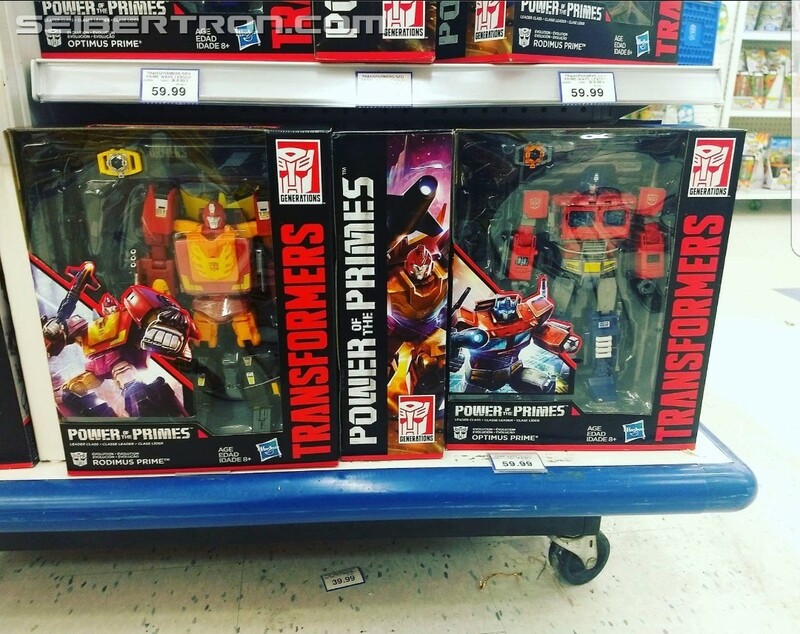 The box is much larger than the typical Power of the Prime leader box (we included an image of those for comparison). This much larger box definitely adds to the notion that we are looking at an exclusive release, along with the mention of Hasbro that there are no new POTP leaders released at retail after Optimal Optimus. Now, the leader Optimus toy has gotten mixed reviews, especially with the shortcomings of the alt mode, and with this possibly being a higher price (both for the added accessories and exclusive nature, meaning no opportunities for later discounts) is this a toy you plan on purchasing? And at what price? 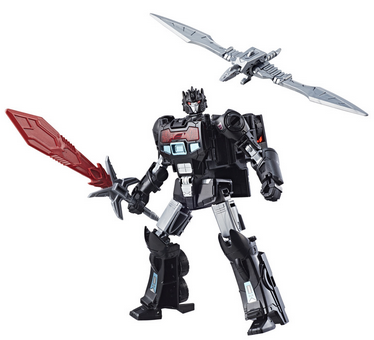 The images for Nemesis Prime come from TFND and it was fellow Seibertronian Albatross who sent them our way. And here's a larger image of the cab robot, but its original source isn't given (I've uploaded it to Postimage). That is awesome. I probably won't be able to afford it but I look forward to all the lovely photos from those who do bite the bullet. That is kinda neat. Not neat enough for me to buy it, but still neat. ...But exclusive where? How hard will it be to get this figure? I want him now!!! Zeek99g wrote: ...But exclusive where? How hard will it be to get this figure? I want him now!!! Ah so no word on who will be carrying this epic figure? None. My guess from the past is that this will not be a retailer exclusive. Probably available at SDCC and then on Hasbro toy shop for $60. Something similar to Skateboard Prime of last year (who was also a black redeco of a gen leader Prime). I love that they gave Pax a new head, as I was disappointed Nemesis Hot Rod didn't go that extra mile. I wonder what the smaller robot's name will be. Ooh, how about Scourge? A Scourge that turns into Nemesis Prime? Yes, please! 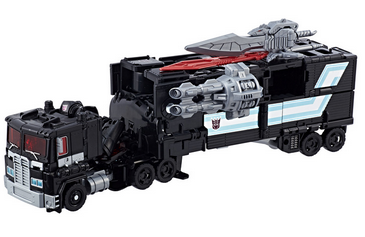 It is amazing how much a single color scheme improves the truck mode by hiding the disaster behind the cab, and on the front of the trailer. So not only is he real, he's also got a new head. Goddamn I want this guy so bad: shame he'll most likely be some exclusive I can't afford. Nemesis is looking great! I bet he'll be at SDCC as well. I'm finding the SS line in stores much more readily than wave2. Still no sign of Submarauder....I want more PMs. 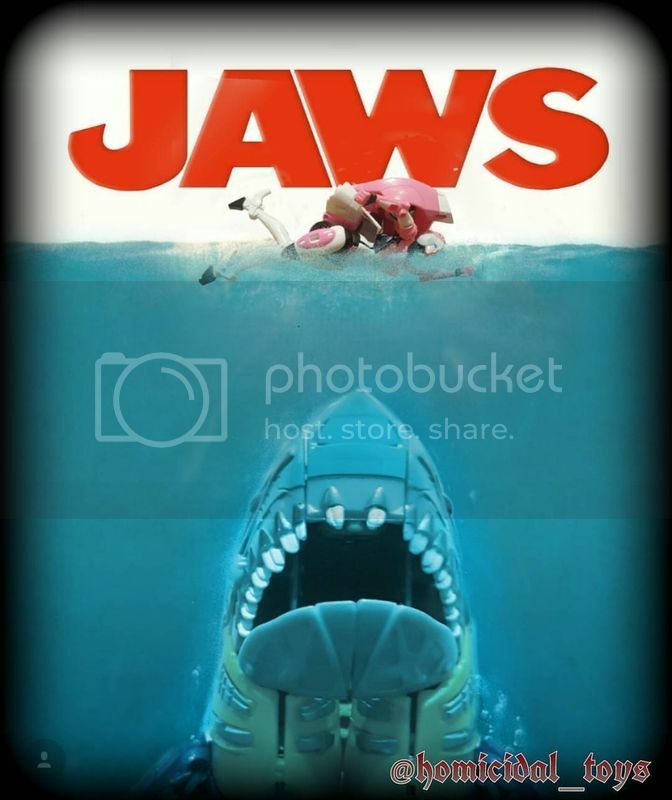 Last edited by bodrock on Tue Apr 17, 2018 12:17 pm, edited 1 time in total. Two swords and the rifle? If I wasn't so jaded I'd say we're being spoiled. This is cool but it also gives me hope for a PMOP somewhere, someday. This does beg the question.. why is the one figure that USED this gimmick to begin with, Ultra Magnus, not being incorporated into it, lol... I get that we already have a UM fig with Minimus Ambus, but this gimmick was his to begin with. A premium/exclusive release figure, and Hasbro still can't be bothered to paint the damned rims! A Shattered Glass/Decepticon Ultra Magnus? Motto: ""Chaos is my only ally, and Destruction my only friend."" Alright now that I know Pax has a new head I’m seriously considering getting this evil fellow. Hopefully it won’t be too hard to get a hold of. Sadly, Hasbro's prime poll told us there would be a new toy for the winner, but not what KIND of new toy! Had we all known about the evolution gimmick, Ultra Magnus and fellow "perfect fits" Star Saber and Thunderwing would have had much better chances. 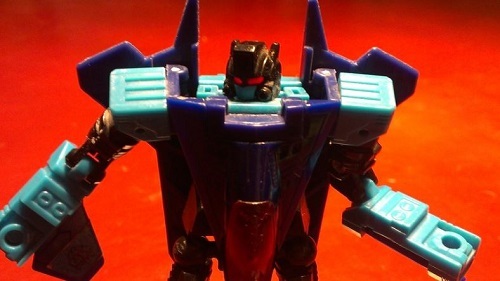 If they retooled him from this figure, it would continue the character's history of sharing a mold with Scourge. One of the reasons I miss the club the most is not getting rich back stories for figures like this. I wish we could get some one-off comics with contained stories for guys like this... and a bio and tech spec at the end... or even some prose, in a pinch. As is, still wondering what the story behind this Orion Pax guy is. He looks a lot like Soundblaster. Are they intending that (with the bird partner)... or something else? 4,780 pages were recently viewed by 724 unique visitors. This page was viewed 1 times on Thursday, April 25th 2019 11:43am CDT. © 2019 Seibertron, Inc. DBA Seibertron.com. All Rights Reserved. Established June 2000. Seibertron.com is owned by Ryan Yzquierdo.